Dr. Jackson is from Newton, Massachusetts. 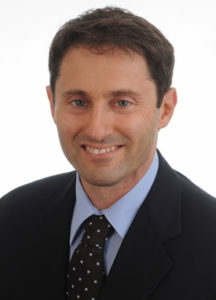 He received his dental degree as well as his Certificate in Periodontology from Tufts University. Dr. Jackson is Board Certified by the American Academy of Periodontology and is also the recipient of the Kaufman Fellowship Award which enabled him to study the effects of periodontal disease on the concentration of adhesion molecules in tissue. Prior to entering the field of dentistry, Dr. Jackson devoted four years to cardiovascular research at Boston University School of Medicine, where he earned a Masters in Biological Science. He also holds a B.S. in Business Administration. Dr. Jackson has been trained in all aspects of Periodontics, including immediate and delayed implant placement, ridge and sinus augmentation, distraction osteogenesis, as well as more traditional surgeries such as resective, regenerative, and periodontal plastic surgery. Dr. Jackson is proficient with multiple implant systems. Dr. Jackson is a Diplomat of the American Board of Periodontology and is active in the Connecticut Periodontal Society, American Dental Association, and Connecticut Dental Society.